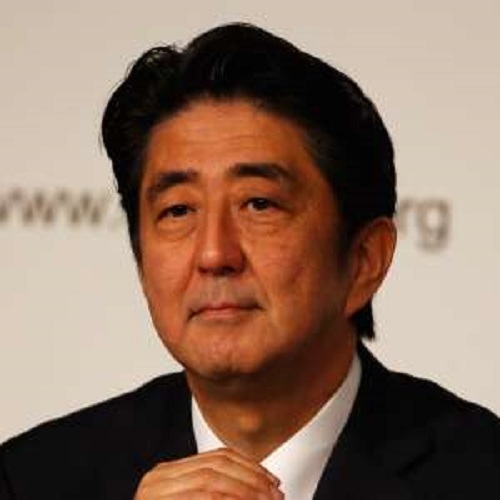 Japan’s Prime Minister Shinzo Abe is the most high profile leader in a democratic developed world economy to get it right, he like every elected leader owes as his first priority the safety and security of his people and the culture of his nation. 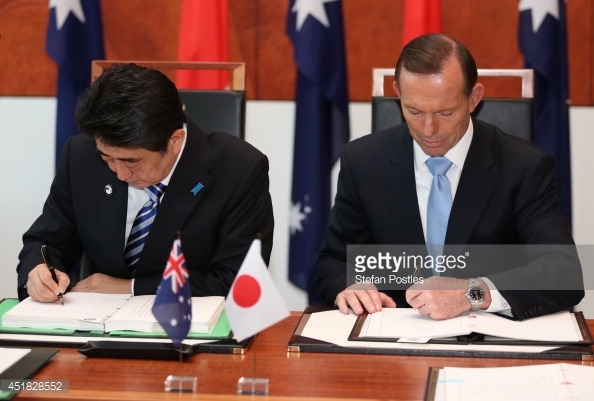 Japanese Prime Minister has got his priorities right, like Benjamin Netanyahu – בנימין נתניהו , Tony Abbott, Australia’s Prime Minister elect and Donald Trump for President 2016, as the elected leader of a democratic country that has demonstrated economic and international integrity since the last great world war, he realises his first priority is to maintain the peaceful stability and cultural integrity of his own people and nation ahead of any unrepresentative UN considerations, After all it has only been through the financial contributions and good will of successful democratic capitalist nations that the UN has been fortunate enough to continue its operation at all. Yet now we face a situation where the neo Stalinist alignment with Islamist at the UN seek to undermine successful and democratic Nations and their cultures in order to mandate a one world government in the true extremist international socialist Stalinist tradition. 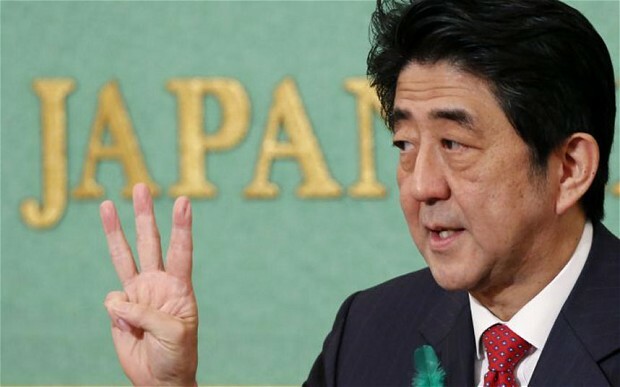 Abe earlier told the world body that Japan would provide $810 million this year for emergency assistance of refugees and internally displaced persons from Syria and Iraq, triple what it gave last year. Abe said Japan is also preparing about $750 million for stabilization efforts in the Middle East and Africa. Japan prides itself on being a good global citizen. It is one of the largest aid donors in the world. 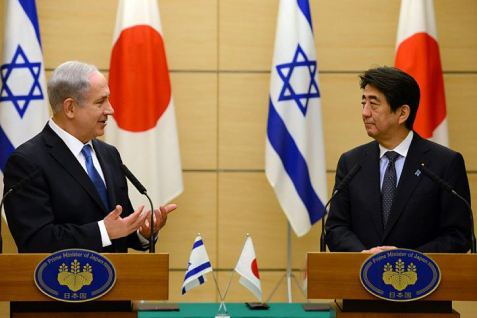 Japan’s Abe and Israel’s Netanyahu respect for each others position. Last year Japan gave $181.6 million to the UNHCR, the United Nations’ refugee agency, making it second only to the United States in generosity. But it has offered very few if any resettlement places for refugees from the civil war in Syria. Previous Previous post: Davos: Rich and Powerful vigorously stroking each other in mutual admiration, as they sell us out to low wage world.